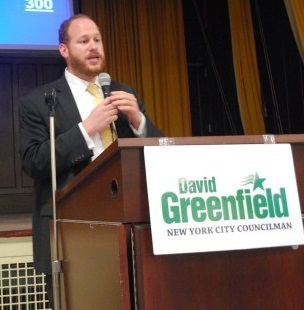 Councilman David Greenfield plans to introduce legislation next week that would prevent New York City from issuing parking tickets on Black Friday, which is, according to the Daily News, "typically the most lucrative day of the year." Ticket writers allegedly issue double their normal number of tickets the day after Thanksgiving. Greenfield claims most people believe tickets are not issued on Black Friday, citing the large volume of phone calls his office received from outraged constituents who had received summonses. When asked about lost revenue for the city, he said, "So be it. That should not be the driving force behind parking tickets."